These statistics show how urgent the introduction of the EU Directive and provision of medicine packaging with additional security features are. 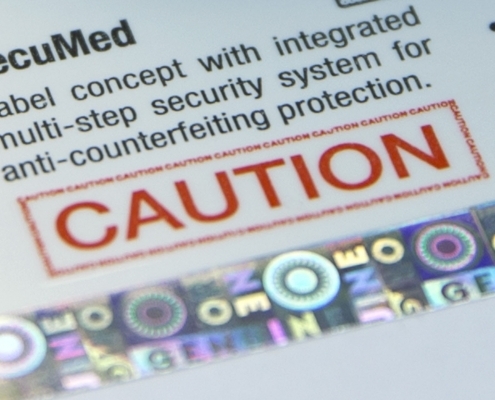 The SecuMed marking label offers diverse options: It combines several modern security technologies into effective counterfeiting protection for reliable authentication of original products. 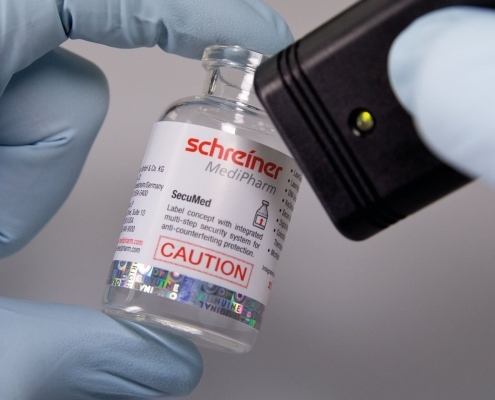 Overt, covert and digital security features posing an extremely high hurdle to product counterfeiters may be integrated, depending on the specific requirement and desired security level. 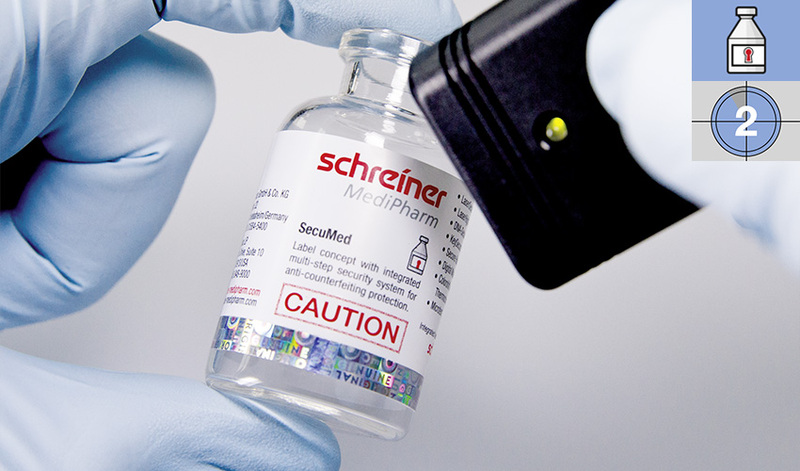 The multi-level system is based on a modular “technology kit” of state-of-the-art security features which pharmaceutical labels can be provided with for diverse target groups – from experts at the pharmaceutical manufacturer, customs officials, pharmacists and healthcare staff through to the patient, the authenticity of medicines can thus be checked quickly and reliably. For instance, security technologies that are suitable for integration include overt security features such as complex holograms or ShiftSecure and the covert LaserSecure feature that may be embedded in graphic elements and colors. Additional kiss cuts along the edge of the label further enhance tamper protection. 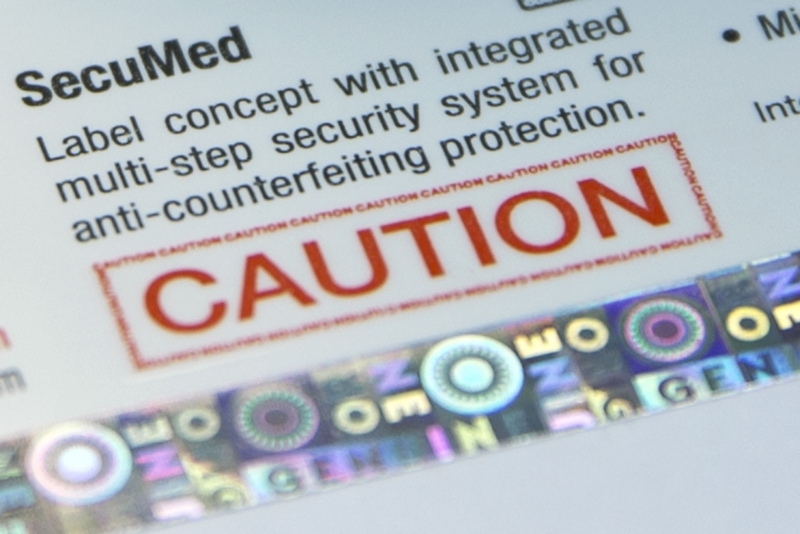 Due to this customized combination of diverse security features, reliable counterfeiting protection that optimally addresses the customer’s specific requirements is guaranteed for any application. 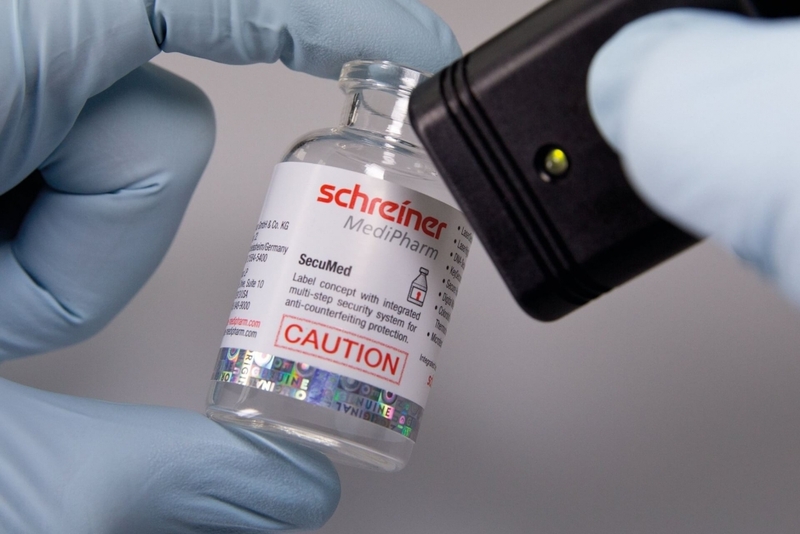 This helps protect pharmaceutical companies against image loss and unjustified warranty claims and, above all, the safety of patients.